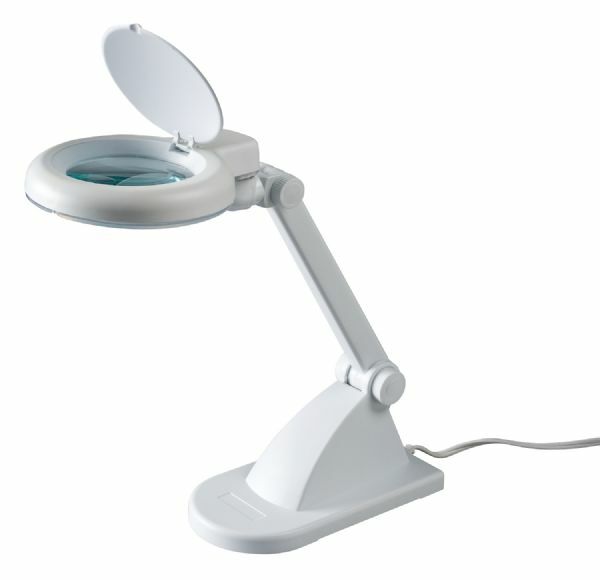 Perfect for precision work this lamp magnifies and lights up the work surface. * Features 3½" diameter 3+12-diopter glass lens with 1.75x magnification. * Adjustable lamp head and arm. * Removable protective lens cover. * Includes one T4 12w circular fluorescent bulb. Sturdy 4" x 8" base. 13" x 8.5" x 6"